How Can I View Who I Have Blocked On Instagram? Sometimes you can notice you no longer see someone's photos on your Instagram feeds. This could be a sign that the friend has removed you from his/her friend list. Though Instagram offers no way of viewing the people who blocked you, there are still several ways you can find out if anyone has blocked you. There is no better tip on how to know if someone has blocked you on Instagram than trying to follow them. If you followed a particular user before, and finds out you need to follow him/her all over again, this should be a sign that you might have been blocked. However, if you tap Follow and noticed nothing, it shows you have been blocked by that user. Sometimes, this action may process the request to add you, but due to server malfunction, nothing was shown. You won't be able to follow any user when the servers are down, but most times, you can use this means to find out who has blocked you. We all know accidents happen, it could be that the person has blocked you accidentally. If you suspect this to be the case, mention the user on Instagram. This can be done by typing in the user's name when you post a new photo. The name of the Instagram user you think might have blocked you should be in the caption of the new photo following a "@" symbol. Every Instagram user sees who has mentioned them in a post, whether they have blocked the person or not. If you have been blocked by the user you mentioned, he/she might be forced to respond. Since you can neither follow nor search for the friend who locked you, create another account and do some snooping. The way to do this is to exit your current Instagram account by accessing the app, clicking on the profile icon at the bottom of the right-hand side, and then on the settings icon at the top right side. Scroll down, click on the Log Out icon, and then click on Create a New Account. Simply follow the instructions to create the new account. You can still create a new account without logging out from your current account by opening a new window. Once you have set up the new account, you can then return to the account of the user you think might have locked you. Once you find out that you can easily follow the person with your new account but could not with the old account, it simply means you have been blocked. If you are not sure which of the Instagram accounts have blocked you, you can begin by checking who has unfollowed you in recent times. 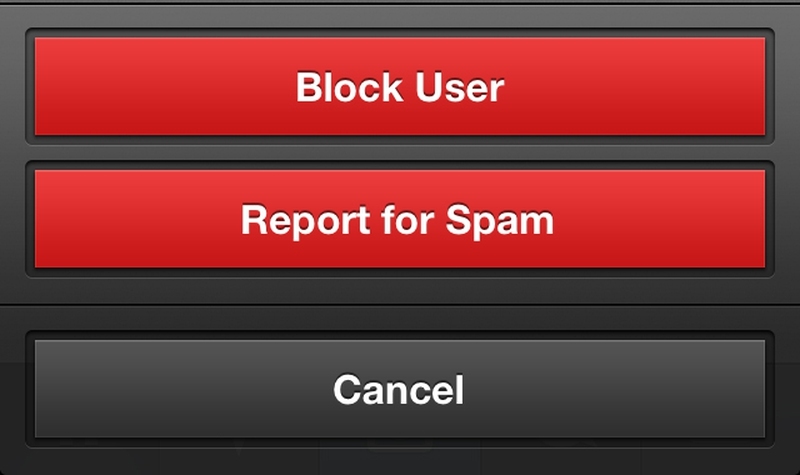 Locking an account is an automatic way of unfollowing the blocked account. But being unfollowed is not the same thing as being blocked. Someone can unfollow you without blocking you. Unfollowgram is a new feature that lets you know who and who has unfollowed you recently. After you visit the site and click on the Sign in with Instagram icon, then you can follow the people who unfollowed you. Once you are able to follow the person or you are already following the person, it simply shows that the person have not blocked you. There is no way of getting a list of all the people you have blocked on Instagram. Once you have blocked someone on Instagram, you can easily view the people’s profile, but the person has no access to your profile. To unblock anyone you have earlier blocked, you first need to search for the user, visit their profile, click on the actions icon at the top of the screens' right-hand side and choose Unblock user from the drop-down menu. One of the easy ways to find out if you succeeded in blocking anyone is by visiting the person's profile. If the person has been blocked, you will see no posts yet where you would have seen what the person posted. Though sometimes, it is possible the user have not posted anything new. If you use the iOS app, click on the arrow-like icon exiting a box. For Android users, click on the icon that has 3 dots. If you actually blocked the user, you will be shown something like, Unblock user. According to Instagram users, no one lets blocked users know they have been blocked by you. Blocking a user bars him/her from seeing your posts or viewing your profile. Though their earlier likes and comments will still be shown. These blocked users can however @mention you.